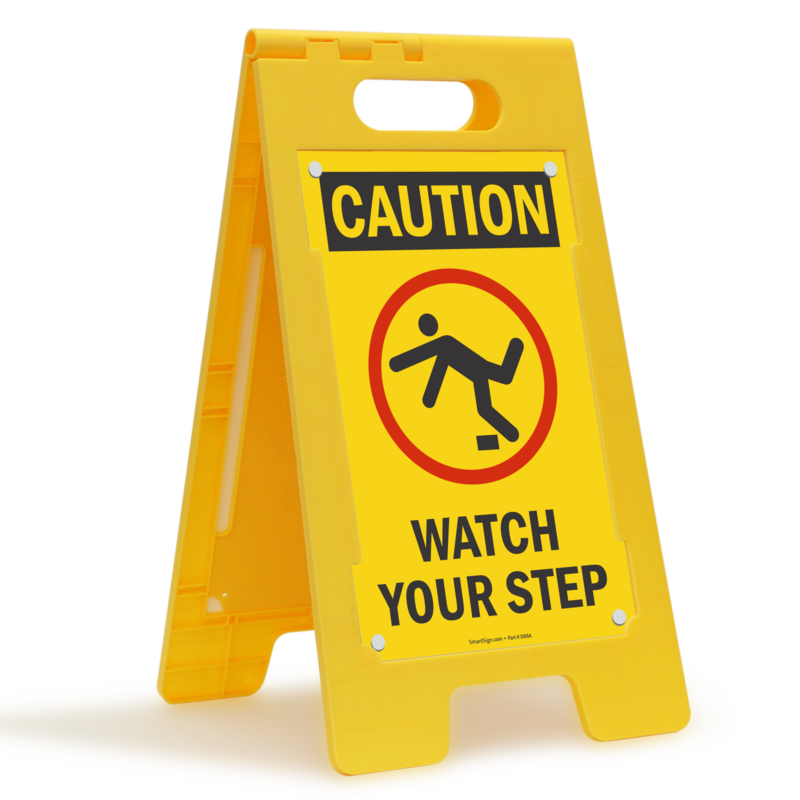 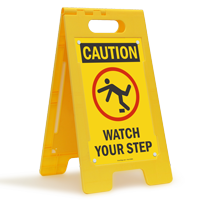 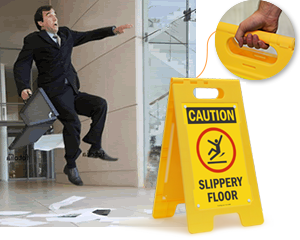 This safety reminder can help businesses prevent slip and fall accidents and reduce premises liability. 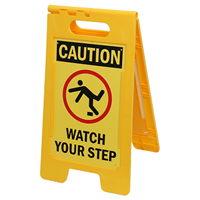 Easily repositionable, free-standing floor sign is printed on both sides for traffic to view the safety warning from either side. 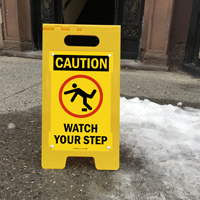 It is PERFECT as far as the sign goes. 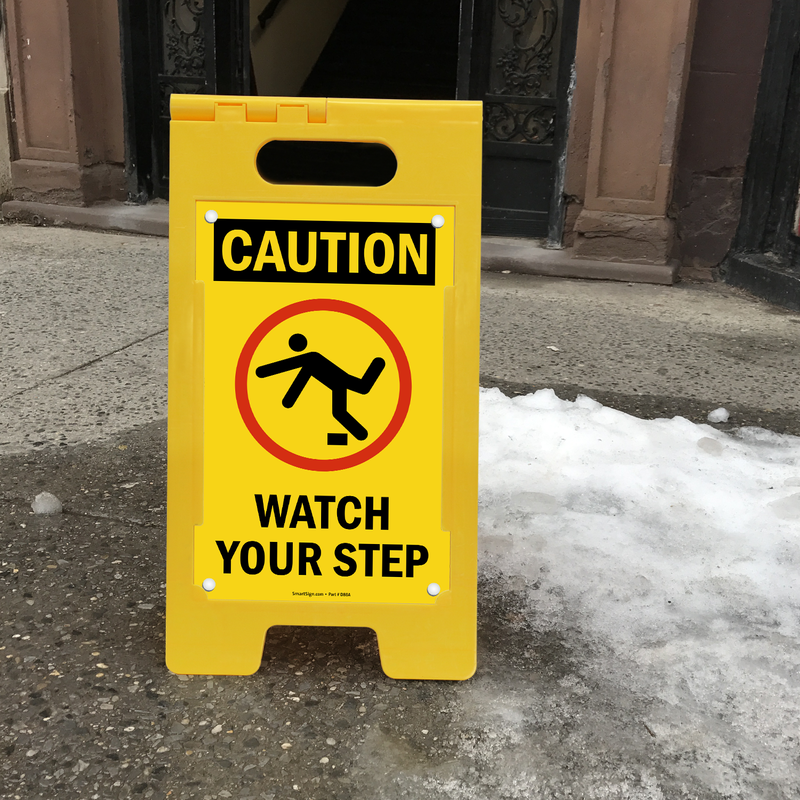 Because we have to have our home wheelchair available, we needed a sign as soon as you walk in the front door that you will start walking DOWN. I wish someone made a wooden stand to hold this sing instead of a big yellow plastic one.